Wildlife benefits: All Liatris are magnets for adult butterflies. Tuberous roots may be eaten by voles – you may want to protect roots. From Ottawa Valley or eastern Ontario sources: No. From the American black earth prairie, i.e. western Kentucky. Remarks: A little taller and a little later to bloom than Spike Blazing Star. 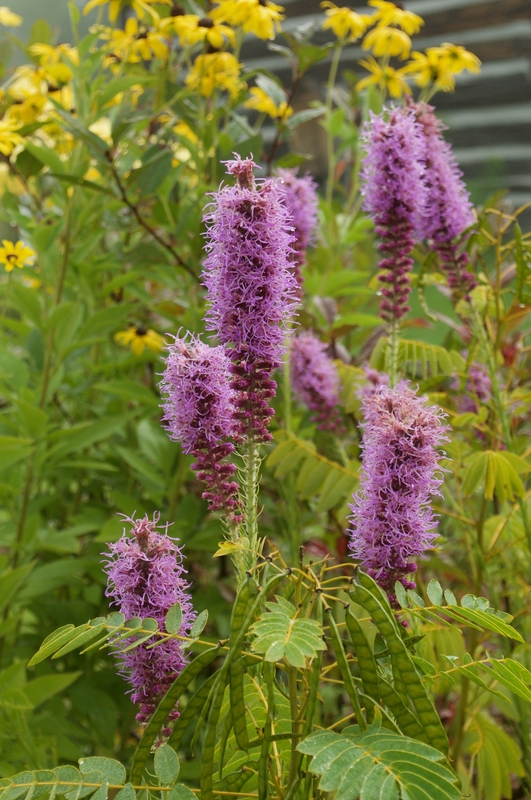 Similar species: Rough Blazing Star. Spike Blazing Star.